Lions Eye Bank of Wisconsin is a 501(c)(3) that has served Wisconsin for more than 50 years. LEBW's purpose is to support donors and their families during their time of loss, assist with the recovery of corneas for transplant to help improve the lives of the visually impaired and to serve Wisconsin's corneal surgery needs for transplant surgeons throughout the state. Lions Eye Bank of Wisconsin volunteers directly support the mission of our organization and provide awareness and education on the impact of donation. They represent Lions Eye Bank of Wisconsin, providing support to donor families, transplant recipients, donation partners, healthcare professionals and our community. Volunteers are donor families, transplant recipients, Lions Club members, advocates of donation, community members and more, who want to actively and locally promote the donor registry, organ, eye, and tissue donation and educate others on the mission and reach of LEBW. 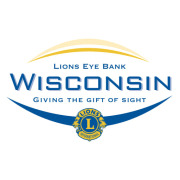 Lions Eye Bank of Wisconsin is dedicated to the mission of restoring the Gift of Sight through recovery and transplantation of corneas, research to advance the knowledge and treatment of eye diseases, and education to increase donations. Our ultimate goal is to improve people’s quality of life through the Gift of Sight. LEBW's purpose is to support donors and their families during their time of loss, assist with the recovery of corneas for transplant to help improve the lives of the visually impaired and to serve Wisconsin's corneal surgery needs for transplant surgeons throughout the state. We work with donor families, transplant recipients, Lions Club members, advocates of donation, community members and more, who want to actively and locally promote the donor registry, organ, eye, and tissue donation. Would you recommend LIONS EYE BANK OF WISCONSIN INC?